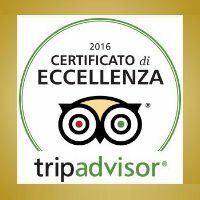 For Tripadvisor and therefore for the people who stayed and eaten by the Hotel we are No. 1 in Arezzo, and this is really a great satisfaction. It means that our work is recognized and appreciated. It means that even when something does not make according to our customer’s expectations, that can happen, we take our responsibility and we try to fix it and satisfy the customer.